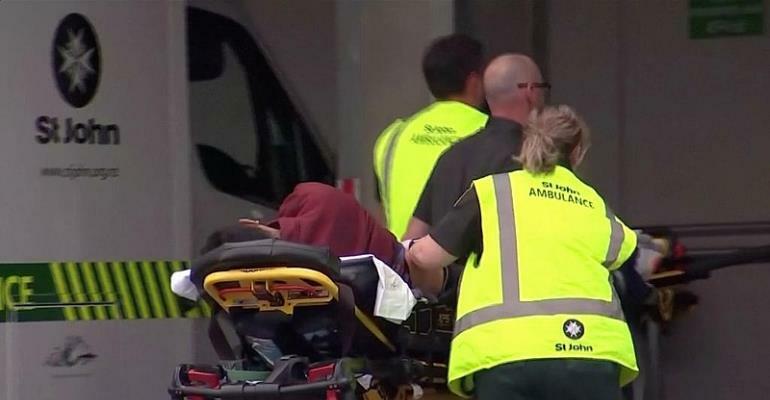 The Islamic University College, Ghana, condemns in the strongest possible terms the mass shootings that occurred at the Al Noor and Lindwood Mosques in Christchurch, New Zealand resulting in the deaths of forty-nine worshippers and the wounding of twenty others on Friday 15 March 2019. The massacre of peaceful and unarmed worshipers using automatic weapons is the most cowardly act which takes evil to hellishly new levels. This heinous crime serves as a reminder of the consequences of hate, intolerance, and Islamophobia that incidentally has been promoted by sections of the world’s political leadership, especially in the West. By turning a blind eye to the mass media covertly and overtly demonizing Muslims, they are contributing to the entrenchment of bigotry which eventually produces crimes of this nature. In other words, this mass murder has been committed in the name of Europe and America. And in America especially, this is manifested in Donald Trump’s bigotry and racist tirades, especially against Muslims. It also demonstrates clearly how Islamophobic rhetoric and hate speeches can translate into heinous crime. We take note of the fact that the media and politicians like the President of the United States of America, Donald Trump, have condemned the attacks. But we would like to point out that these are the same media and the same politicians who have helped spread hatred against Muslims and Islam. They, therefore, have the blood of the victims of the Christchurch massacre on their hands. Although Facebook was quick to remove a graphic video of the attack, it cannot escape culpability in this mass murder, because it had allowed the widespread circulation of earlier posts that had threatened violence against Muslims. But how many more innocent people will have to die at the hands of terrorists before the media, politicians, and governments take an introspective look at their complicity in creating the climate of hatred that fuel such terrorist acts? And especially with regard to President Donald Trump, we hope that in his quiet moments, when he is not writing one inflammatory tweet or the other, he will ponder over how a mass murderer like Tarrant will regard him as a hero. It is also quite instructive that Tarrant states in his writings that he took inspiration from Anders Breivik, the Norwegian terrorist who in July 2011 shot dead 69 members of the youth wing of Norway’s Labour Party at a summer camp, in addition to killing eight people in an Oslo car bombing. Clearly, therefore, terrorism has no religion. As Muslims, we make this statement in full knowledge of the fact that the overwhelming majority of victims of terrorism have been Muslims. And while we mourn the victims of the mass murder at the Al Noor and Lindwood Mosques and pray to Almighty Allah to forgive their sins and grant them Jannatul Firdaus, and for the wounded to be granted a speedy recovery, one point must be made clear. If Tarrant and his terrorist ilk in their warped minds think that they can cow Muslims or slow down the progress of Islam with such terrorist attacks, then they are mistaken. In the aftermath of that massacre, Muslims across the world have continued to troop to mosques to offer prayers for the dead and injured. Equally importantly, people of different faiths and different nationalities have rallied to the support of their Muslim neighbours and compatriots in a collective demonstration of our shared humanity. We extend our message of condolences to families who lost their loved ones in this dastardly terrorist attack. May Allah accept their souls among the martyrs (shuhadaa). To the wounded, May Allah grant them a speedy recovery and unwavering faith (Imaan) to overcome the trauma resulting from the attacks. Aameen.